ABUS is all about looking after your home and work security. A brand that have taken innovation to the next level. From the humble padlock to Home Wireless Cameras, supported with next generation mobile phone apps. 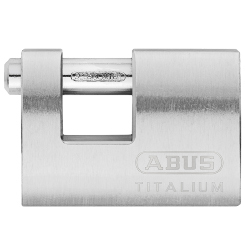 At My Tool Shed there are in excess of 100 ABUS products available to buy. We offer a vast choice as we know, not one size fits all. The function of the lock can be easily filtered in the side menu to help you find the right solution for your application. Have peace-of-mind when your home is looked after by ABUS and find the right lock today. Have a question about our padlock range? Send us a message here and we'll be happy to help.